Sue was extraordinarily helpful in sourcing the specific contact lenses I needed and then mailing them overseas to me without a delay. Her replies we're always prompt and efficient, allowing us to easily coordinate what could have been a complicated international shipping situation. When I accidentally sent a wire with US Dollars instead of Australian dollars, she immediately told me and suggested the most efficient solution. Her honesty is much appreciated and now I know where I'll get my contact lenses from now on. I keep returning to use contactlens.com.au because of their stellar customer service, always going the extra mile to ensure I receive my contacts timely. I have a very strong prescription and need to have custom made lenses that fit well and are delivered when I need them. Since I've been using contactlens.com.au their communication process, delivery process and follow up has been without fault. I'm kept informed from confirmation of order to the day of delivery. Highly recommended. I have been using this company for nearly 10 years. The service is exceptional and they go out of their way to ensure that all of my orders have been filled within an excellent time frame. I have nothing but good things to say about this company and would strongly recommend them. Very happy with the customer service and super fast delivery. I will continue to buy my lenses from this site. Air Optix Colors are the most comfortable lens I have worn. Very long daily wear without discomfort ! Excellent Best Service Ever ! So good that they are my new supplier. Excellent follow up and contacts arrived next day. Lovely customer caring service Gold! Communication is excellent, it's easy to re-order and the delivery is always so fast ! Sue is very helpful in sending a reminder text and and email with an easy to re-order link that works in seconds ! Great for busy mums like me ! Fast delivery too - I highly recommend this service. Great service, helpful chat that assisted me with my queries, ordered the lenses and they were delivered the next day to my front door. Would definitely use again and I recommend the service. The Dailies Total One Multifocal lenses are pricey but they are most comfortable multifocal lens I have worn by far ! Very fast delivery, will definitely order again from you guys ! I have been using contactlens.com.au for many years. Their service is always easy to use with the helpful reminder link and delivery, even to Tasmania, is fast. Excellent, thank you. Any issues I've had Sue comes back to me the same day usually with a resolution immediately. Have started buying my daughters contacts through Contact Lens as well as its super convenient and much faster than anyone else we have used. Wonderful service and great product Cannot rate contactlens.com.au highly enough. The service is outstanding. My contacts went missing due to a courier mix up. Sue not only immediately dispatched new ones and patiently helped me get everything sorted out, but she did it efficiently, patiently and kindly. Great service always. Order arrived in 2 days unlike other internet suppliers up to 10 days + to a regional centre. Sue has always been helpful in providing past receipts . Always recommended!! Excellent service I have used contactlens.com.au for close to a decade because I have found them to be very friendly, helpful and efficient, and very price competitive. I would happily recommend them to anyone wishing to purchase contact lenses. Quick and easy delivery Ordered my contact lenses and within a few days they were delivered as described. This is my first order and I’ll use them again. Great service! Always a great experience. Delivery is really quick and they always follow up to make sure its received. Really great customer service, Sue is a pleasure to deal with. Uncomplicated online ordering system & very efficient delivery. Great ! Easy, efficient and quick to arrive. The reminders are handy too ! I have been using this service for a number of years now and I could not recommend contactlens.com.au highly enough. Always do a great job. Quick delivery and nice customer service. Contacts were late one time, due to circumstances beyond their control, yet they still threw in some free contacts anyway without me asking. Will stick with them. The process was simple once I got my head around buying contacts on line. I had a few questions so I phoned and the knowledge and efficiency of the lady I spoke to was great. They also saved me money, they have a long use by date and they arrived within 2 days. I have been using Contactlens.com.au for some years now. The service is excellent, I receive a reminder every three months and it is very easy to reorder. I have had to change the prescription once over the years and found that to be a very simple and straightforward process. I usually have my lenses within a couple of days of reordering. Very happy with the service. Polite, fast * efficient service. What more could a cusotmer ask ? 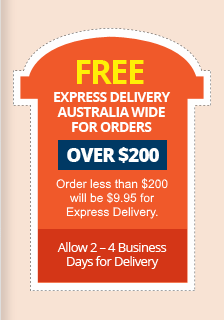 Very easy to deal with and super fast delivery. Highly recommend this company. Always Fantastic - Perfect Service. Easy to use website and delivery times are so good ! Delivery was really fast and the experience was seamless. Easy to order, saved $, super quick and I even got a follow up email for my order to make sure I received it over the busy christmas period!!! My new contact suppliers. Sue and the team went above and beyond to expedite supply of my lenses after running short, and desperately needing them post facial surgery. I extend my utmost gratitude to the ContactLens.com.au team for their support and customer service. Thank you!! Very happy with services especially the communication about the delivery not been quick enough. I made my first order on Tuesday morning and it was so easy. I needed the lenses before Friday evening and got a text message notifying me that my lenses were in the local post office for collection on the Thursday. Very efficient delivery and service. Will be using them for my future orders and recommend to others! It is easy to order and my lenses always arrive the next day. This company is fantastic. Such wonder service. The extra miles that Sue when to to make sure that I was always informed was so much more than anyone could ask for - so welcoming and personal. Hi, thank you so much for a quick turnaround. I got them this morning - you are a life saver ! Hi Team, Yesterday at 9.40am I placed and order for some Biofinity Toric lenses. Today at 9.15am the Star Track delivery driver completely surprised me with my contact lenses ! I am absolutely astounded at the swift turn around, considering that Specsavers said it will take roughly 10 days for them to help me out. Excellent prices and incredibly fast shipping means that I will become a guaranteed return customer. Thank you so much! You guys will put "Specsavers" out of business! Ordered on Saturday evening and they arrived on Wednesday. The quickest I ever normally get them from "Specsavers" is 10 business days ! You are now my new contact lens supplier ! I cannot thank you enough for my contact lenses. Your price is the best I have found the and the delivery very prompt. Would highly recommend your company to all my friends. Great Service ! Received the confirmation email that my order had been dispatched and my contacts were waiting for me when I got home the same day ! Right before Halloween too. I'll certainly be ordering again. Very happy with their services. The manufacturer didn't have stock so my order was going to take longer but they quickly organized some free samples and send them to me via express mail which arrived the day after they advised me. Will definitely recommend them to anybody and will order from them again. My Fiancé ordered the lenses for me and they were here within a couple of days, absolutely fantastic!! Ordered multifocal contact lenses on Sunday night & they were at my Perth doorstep Tuesday morning - Really appreciate the quick delivery as I had run out. Have ordered contacts over the counter previously from Spec savers & they normally take over a week! Great prices and fantastic service! Very happy, can't wait to order again. Hi, I found your service very efficient and was very happy to order this way. It was my first order and I will be happy to order from you again. Thank you. Rest assured my contacts have arrived and I am very happy with every thing from the ease of ordering to receiving the delivery quickly and also the interim service provided to cover the out of stock item initially. I look forward to placing my next order and wouldn't hesitate to recommend you to friends. Thank You. Hi, Thanks very much for the efficient service ! My order arrived the next day. Looking forward to ordering in the future. Hi ... Many Many thanks for your excellent service and the speed with which you have follow this order up for me. I really appreciated the super fast delivery and long expiry dates on the lenses. The whole process was smooth and worry-free. Hi, I just wanted to day my contact lenses arrived safely and quickly. Great Service, Thank you. When my contacts didn't arrive on time before a trip away contactlens.com.au went well beyond the call of duty to get me some at my destination for a special event. Many thanks for the exceptional customer service! Rang around and this company was the only ones who had my script for a +6 for astigmatism in stock and was even sent that day. I received them 3 days later, I'm in Pakenham Victoria. Compared to my local Specsavers who had told me it will take 3 weeks for them cause they have to specially make them. So I'm very happy with this company and happy to recommend it to others. The lady who answers the phone (sue) was so helpful and went beyond to help me. Look forward to ordering more in future! Hi, I would just like to commend you on your customer service. It was the first time I have ordered with contactlens.com.au and I have been very impressed. The ease of ordering, the promptness in contacting me to clarify the address details plus the promptness of delivery and the personal follow ups. I will definitely use your company again. You were a pleasure to deal with and the customer service was second to none. I am absolutely happy with the experience. I ordered my lenses online at contactlens.com.au on Thursday and received them on Saturday morning - less than 48 hours ! Thank you very much - I will definitely think of your site when I need to order more. I am absolutely impressed with the level of service I am receiving from contactlens.com.au I appreciate the initiative and dedication to providing excellent customer service. Thankyou ! Your service exceeded my expectations. This was the first time ordering through you and I will definitely be order from you in the future. I received my contact lenses two days after ordering them. It was totally hassle free...almost too perfect ! My lenses arrived on Friday and were in perfect condition with correct prescriptions for each eye. I am extremely pleased with how quickly they arrived, how easy they were to order and their low price. I have absolutely no complaints and cannot recommend anything to make my experience any better than it already was. Thank you ! Just wanted to thank you for your prompt, professional service. Some of these bigger businesses need to take a page out of your book and improve customer service. I was so pleased with my purchase and how fast the delivery was. Thank you all very much, I will definitely reorder from you again. All was on time, as ordered; faster than I'd dare hope for, and totally professional. I shall recommend your company to others. I particularly appreciated you taking my call personally and ensuring my toric lenses were in stock. Bravo ! ... I'm definitely going to be a return customer given your business has extremely high level of customer support, much appreciated. ...The order and delivery process was fantastic. I was desperate for lenses and the kind lady over the phone was extremely helpful. Thank you so much! I found the whole experience excellent I will be ordering from you from now on. I'm very impressed! My order arrived the next day. I live in Tasmania so I wasn't expecting that at all. The contacts are great and the service is even better. I will definitely be ordering from you again.